It was hanging out in the web of a golden silk orbweaver (Nephila clavipes). These mini arachnids are kleptoparasites. They seek out the webs of larger spiders and eat the meals those spiders collected in their webs. 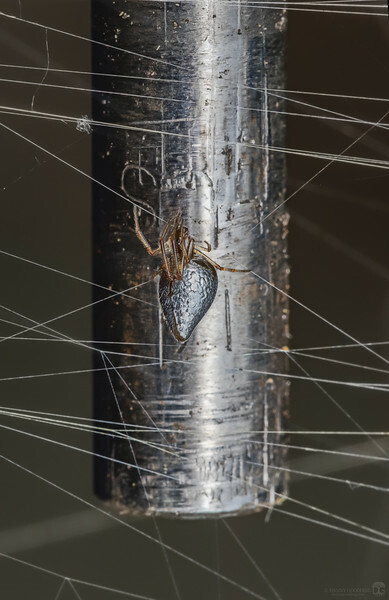 The metal object just behind the spider is a 1/4 inch drill bit as a general scale to show just how small this spider is!